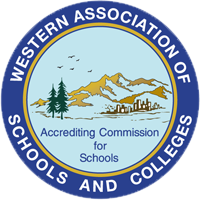 The Western Association of Schools and Colleges (WASC) is one of six regional accrediting associations in the United States. The Association provides assistance to schools located in California, Hawaii, Guam, the Commonwealth of the Northern Marianas, American Samoa, the Federated States of Micronesia, the Republic of the Marshall Islands, Fiji, and East Asia. Al-Arqam Islamic School & College Preparatory was granted a renewal of the 6-year term of accreditation with a mid-cycle visit from the Western Association of Schools and Colleges (WASC) in 2013. Al-Arqam submitted a school self-study with the involvement of all the stakeholders. The self-study involved a deep understanding of the school's purpose, mission, vision, and school-wide learning outcomes (SLOs). It further involved examination for curriculum and assessment as related to the impact on student learning. Al-Arqam Islamic School and College Preparatory is accredited through the Western Association of Schools and Colleges (WASC).